Co-working space startup BHIVE, backed by Blume Ventures, has lost its co-founder Ravindra MK to real estate firm Shriram Properties Pvt. Ltd, where he has joined as head of technology and digital initiatives. Ravindra confirmed the development to TechCircle but didn’t specify any reason for leaving BHIVE, run by Bengaluru-based Tusker Workspace Pvt. Ltd. The exit comes less than 10 months after chief financial officer Rakesh Sharma quit BHIVE to found his own venture. Likewise, chief marketing officer Durgesh Kaushik quit in June last year to start his own company. Although an email to Shesh Rao Paplikar, co-founder and chief executive of BHIVE, did not get a response till the time of publishing this report, a former executive said BHIVE remains largely unaffected. “BHIVE is going after an asset-light model. It is profitable at a unit level. It is introducing new properties,” the former executive said. 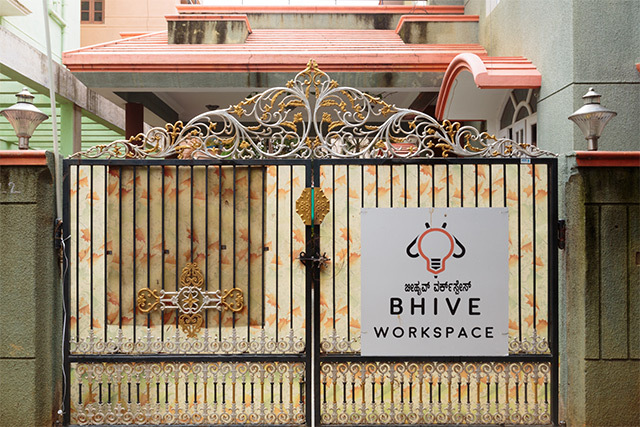 BHIVE was founded in November 2014 by Paplikar and Ravindra, as a co-working, networking and mentoring platform for startups that couldn’t afford independent offices. Ravindra was a former executive at multinational software firm SAP and a management graduate from SDM Institute for Management Development, Mysuru. Earlier last year, the company was in the news when Paplikar alleged that a venture capital firm did not invest in his startup after signing the term sheet. Paplikar had written a blog detailing how a “large investment fund” allegedly revoked its funding offer after signing the term sheet with BHIVE. He alleged that the firm withdrew its offer in the middle of the due-diligence process. As a result, BHIVE had to pay its staff from personal loans raised by co-founders from banks. Without naming the investor, Paplikar told VCCircle that the firm outlined some conditions before committing capital to BHIVE. “As a big fund, they did not want any angels investing alongside them or people who had already committed to invest in BHIVE Workspace in the fresh round,” he said. Karthik Reddy, co-founder and managing director of BHIVE’s existing investor Blume Ventures, later questioned Paplikar for going public over a funding controversy involving a well-known venture capital firm. “In my opinion, the founder overreacted. I have seen it happen so many times in my portfolio. I don’t think failure of a term sheet has to be made a public debate. I can say we were not consulted before this, and it is childish,” Reddy told VCCircle. In June last year, the company raised $1.2 million (Rs 7.7 crore) in a round led by Blume. In February 2016, the firm raised an undisclosed amount in angel funding from investors including TaxiForSure co-founder Raghunandan G, Venturesity co-founder Rajesh Rai and Patni family scion Arihant Patni. Three months later, it raised about $1 million in a round led by Blume.